I consider the previous game to be one of the top three games of the previous generation so definitely up for this. New trailer posted. I don't play games but I do love Westerns. That looks ace. The previous game took the GTA template and removed the buildings and general clutter to give a broad expanse of the Old West some room to breathe. It also helps that dealing out insta-death to random strangers in Liberty City feels mildly cartoony but in a Wild West setting feels much more natural. Justice was dealt at the end of a gun barrel, for good and for ill. The Morricone copying soundtrack and clear love for the genre from the developers meant they could put in several set-pieces from their favourite movies. If GTA5 was tired and cynical excess because they have nowhere else to go with the setting, the RDR was the GTA people doing something that they enjoyed once more. Ah, see. I though RDR was like a humourless version of GTA5. I tried to play it when I got it and got bored really quickly. It's only after playing through GTA5 and getting the feel of that type of game that I went back and gave it another shot. Impressive but quite dull, I thought. RDR is in my top five, genuinely emotional at the end (the only time that's ever happened to me in a game); I loved the discussions on the 'nature of crime/imperialism' in some of the journeys. I get its 'dullness', in that at times there wasn't much action, but as Snake says the space was suitable for the old West. I bought the David Holmes-and-others soundtrack CD, it's ace. That said, I still enjoy GTA V, might even do a bit before the local elections come on later (I know how to live, me...) - still makes me laugh, very much, 2nd time round, and I could listen to the radio over much of what's actually on, y'know, radio. Looking forward to RDR 2, though not sure what the trailer points up in terms of 'newness'. Gameplay trailer. Blimey, it looks gorgeous. I'm a little disappointed by how little they seem to be evolving the gameplay - the camps seem to be the only genuinely new thing they showed and it's not clear how involved that's going to be. 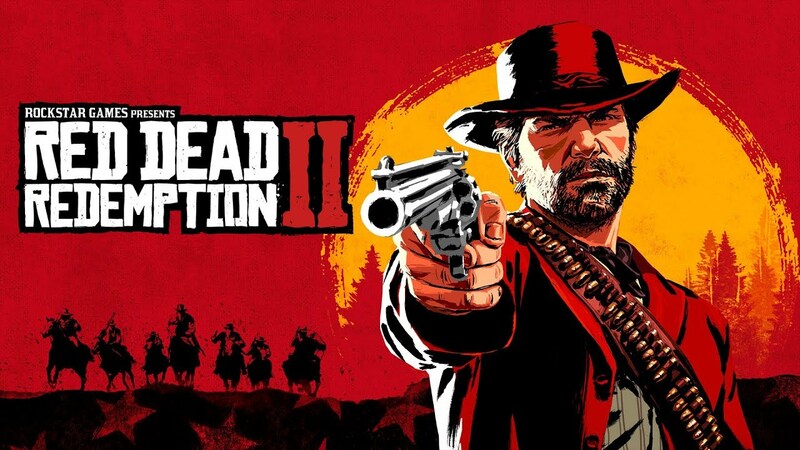 But it's still more Red Dead on new tech, and that's fine by me.